The challenge of night hunting is daunting at times, but with night vision scopes that shed some light on the subject, your quarry will be in reach and your luck will vastly improve. Night vision technology has seen a sharp increase in demand in the last 10 years. The war on terror has seen night vision technology employed by US and foreign soldiers on the battlefield as well. Once the province of the military mostly, civilians, night vision scopes are in use more by civilians than at any other time in history, and the advancements have also brought less expensive pricing. The scope industry is an ever-changing landscape of innovation and refinement, at least among high quality manufacturers with an eye for detail, and a thirst for excellence. There are several revolutionary new scopes that have features never available before, and they are available to the general public. ATN scopes are the world leaders in scope technology, out ranking and surpassing the competition. For leading edge scopes that have no rivals and stand alone as achievements in technology, read on about ATN and what they offer. 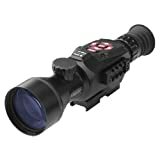 There are several types of scope that fall under the night vision category; traditional night vision scopes and thermal imaging scopes. Each type comes with its own unique abilities and features. 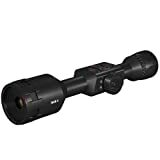 ATN carries a line of night scopes and thermal imaging scopes that stretch the boundaries of traditional scopes into new territory. Among the most technologically advanced scopes in the world, hunters and range shooters from across the world have a choice in this world-class equipment that is without parallel. Let’s take a look at the night vision scopes and thermal imaging scopes and their features here. Before the last few years, technology had not advanced to the point where these types of scopes could be available and used. New developments in thermal technology coupled with the internet and the use of social media make it possible to broadcast your action to an audience, and hunters from all over are taking the ancient game of hunting to an all-time new level. The ATN X Sight components used in the manufacture of these scopes are of the highest quality, and the designs are constantly improved for better quality and craftsmanship over time. The result is, that with ATN scopes, you will have the best in hunting and shooting scopes that you can get in the world today. If you have been considering the possibility of getting your hand on this new equipment, take a look at all the features and product specifications and join the many thrilled and satisfied ATN customers before you set foot on your next hunting adventure. ATN is synonymous with quality and innovation, setting the bar for night vision scope and thermal imaging scope technology for the world. Swarovski Scopes Review – Is the Swarovski Z3 Worth the Money? The Latest Vortex Strike Eagle Review Has Finally Been Revealed!